College is expensive. There are all the regular fees for tuition, room and board, books, materials, mandatory fees and daily expenses, but also additional costs like study abroad and academic research. Students generally have a few options to make ends meet: grants, student loans or paying out of pocket. However, federal grants can only pay for so much, student loans must be repaid with interest and many college students are not financially stable enough to support themselves easily without assistance. Fortunately, organizations and institutions regularly offer scholarships and grants that are interest-free and widely available to qualified applicants. Public, private and philanthropic organizations, social groups, clubs and institutes of higher education are only some of the sources of financial support available to students for their academic goals. The simple steps outlined here may help applicants improve their chances to find and secure the means to achieve their scholastic ambitions. Finding and obtaining the right scholarships and grants does not have to be difficult. The first step is both obvious and one of the most essential: research. Before understanding which scholarships and grants are best suited to a particular Area of Concentration (AOC) or other goal, applicants should narrow the field exclusively to available opportunities. That being said, this stage of the process is also a good time to find sources of funding which may be useful later. The largest and most quickly accessible source of information on scholarships and grants for most applicants will be the internet. A number of websites, including CollegeBoard.com, CollegeNet.com and Scholarships.com, have aggregated better known sources of funding for applicants already. 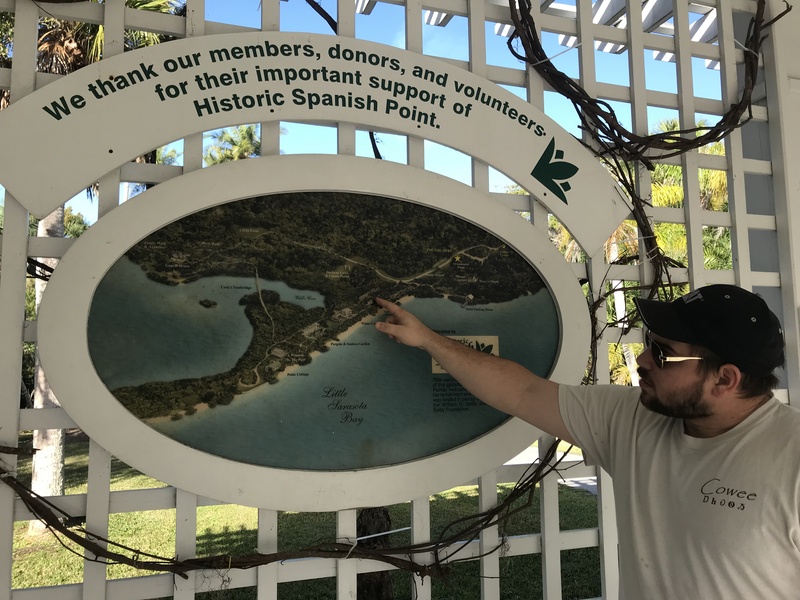 Online scholarship databases like Peterson’s and Florida International University’s websites can provide helpful information and leads on sources of funding, and study abroad fairs and on-campus events can also be instrumental during the search. After finding a sizable pool of potential sources of funding, the next step is to categorize awards by type. Scholarships and grants can be immediately separated into need-based and merit-based awards. Need-based awards, like the Federal Pell Grant, require applicants to demonstrate financial inability to pay for some essential feature of an educational program, like tuition. Some of them may be competitive while others may be automatically awarded to eligible applicants by a government or university. Merit-based awards, however, almost always contain some competitive element and require some tangible or scholastic achievement and completion of some assignment, such as writing a compelling essay on a given topic. Some of the most common types of scholarships and grants include public awards, topic-based or project-based awards, institutional awards and organizational or membership-based awards. Awards can be very accessible and available to almost any applicant within certain broad bounds or very limited and available only to applicants of specified backgrounds. Most applicants are likely qualified for some combination of these awards. Public awards include those offered through various programs and departments of the U.S. government, like the Benjamin A. Gilman International Scholarship and the Fulbright U.S. Student Program. Other sources of public funding are available at the federal and state level, including Federal Pell Grants and Florida Bright Futures Scholarships. Topic-based and project-based awards may be more directly related to a specific AOC or research topic. For those studying the natural sciences and STEM subjects, the National Science Foundation’s Research Experience for Undergraduates provides excellent opportunities not in the form of direct funding, but as opportunities to help conduct research in a given field. Two major sources of institutional funding here at New College of Florida from the Council of Academic Affairs and the Student Research and Travel Grant are offered regularly and are available to all students in good academic standing to cover a wide variety of costs associated with study abroad, speaker and conference fees and academic research. The New College Student Alliance (NCSA) also offers its own scholarship, the funds of which may be used for tuition and regular fees or special projects. Other types of awards may be awarded to applicants of a particular background. These could be awards from social organizations based on ethnicity, nationality, hobby, life experience, or other personal aspect of an applicant’s life. Social organizations like the National Italian American Foundation (NIAF) and the National Association for the Advancement of Colored People (NAACP) may require the membership of either the applicant, parent, or grandparent. The National Foster Parent Association Youth Scholarship Fund also requires membership, but is otherwise open to all other applicants with some history in the American foster care system. Certain awards may be offered to wider groups, such as left-handed college students, or to a individual applicants, such as the winner of a Doodle 4 Google scholarship–given to the applicant whose Google doodle wins the competition–or a Duck Brand Duct Tape Stuck on Prom Contest–given to the applicant who designs, creates and wears a prom outfit made of duct tape. When attempting to secure a more unique scholarship or grant, each applicant may have a greater chance of being selected due to the limited number of applicants against which they will compete. Many grant seekers will qualify for a wide variety of sources of funding simultaneously. For example, a left-handed thesis student studying statistics at New College of Florida who wants to study abroad in China and work in the insurance industry could qualify for a grant for left-handed students, a National Science Foundation grant or Research Experience for Undergraduates, a New College Student Alliance scholarship, a Benjamin A. Gilman International Scholarship and a Curtis E. Huntington Scholarship from the Actuarial Foundation. Small and large private businesses may also offer awards, such as the Tortuga Study Abroad Scholarship from Tortuga Backpacks and the Google Anita Borg Scholarship from Google, Inc. Depending on the size of the firm and scope of the requirements to receive funding, the amount of private awards may vary widely, as all awards are not created equal. Some will be as small as $500 or $1,000 dollars, but other awards can be as large as $5000 or $10,000, dispersed either in a lump sum or over a certain time period. 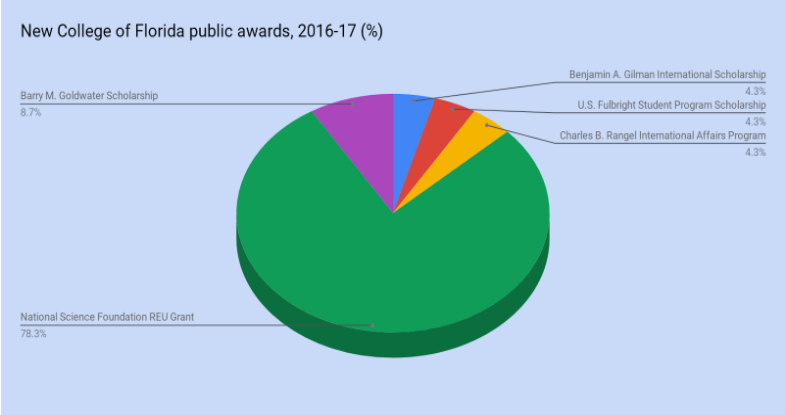 Factors contributing to award size include demand for experts in the field, industrial or other applicability of the field or research, source of funding, selectivity of the award itself and the total number of applicants. “As for merit based scholarships, students who take full advantage of the New College curriculum and outside resources tend to do best in those competitions,” Director of Student Success Programs Courtney Hughes said in an interview with the Tangent. Hughes’ handy mnemonic device, corresponding to the vowels of the alphabet, A, E, I, O and U, can help scholarship seekers assemble the components necessary to distinguish themselves successfully in the pool of applicants. Academic merit, external validation, international capacity, outreach and uniqueness are all essential to present during the application process in order to effectively communicate suitability for funding or other opportunities. After finding the most suitable scholarships, the application process is the most important step in securing the necessary funds. Deep familiarity with and understanding of the process and documents required are essential. Required documents often include one or more letters of recommendation, one or more short essays, a cover letter or statement of purpose and a resume, but may also include a separate questionnaire. A generous timeline that allows ample room for procrastination, interruptions, unexpected emergencies and other distractions will contribute to not only a more polished application but also a less stressful application process on the whole. For less time-sensitive applications and rolling deadlines, about three to six months before the expected start date is appropriate, while for much longer application processes, like the Fulbright U.S. Student Program, an applicant could even consider beginning writing cover letters and securing recommendations two to three months before the application even opens. This extra time for structuring and developing project or research plans will be apparent in the quality of the writing itself and throughout the application. However, no amount of time spent writing will benefit an application without rigorous review and insightful critique of all application materials. If a reviewer has no recommendations or revisions to make to a first draft, then they haven’t read it thoroughly enough to identify the mistakes and areas of improvement. Only after the second or third round of revisions will a cover letter or statement of purpose likely be competitive when viewed against potentially thousands of other applications. As noted earlier, some of the most crucial steps for securing funding are identifying the pool of eligible awards, categorizing and prioritizing awards by type, relevance and award amount, familiarization with the application process and getting multiple rounds of revisions from multiple sources. With these strategies in mind, applicants may be more likely to improve their scholarship and grant searches.